The Lego Education® Mindstorms EV3 is a construction set of Lego Education © that is optimized for use in the classroom. Your pupils can learn to work with the Lego® Mindstorms software thanks to the LEGO Mindstorms sets. With the LEGO Mindstorms Sets your students can learn to build with Lego Technic® and learn to program. The LEGO Mindstorms Sets are based on lifelike robot technology. 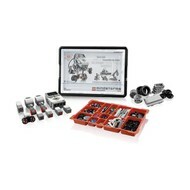 The LEGO Mindstorms Sets: Start today! 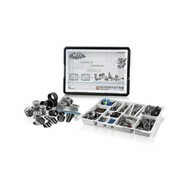 The Lego Mindstorms Sets are fun sets to teach your students to program. These sets contain parts of Lego Technic® such as: gears, axles, motors and sensors. With these components, the students build together a robot that works with lifelike robot technology. The Lego Education © Mindstorms EV3 basic set is perfect for learning how to program your pupils in a fun way through contemporary technology and the familiar Lego blocks. 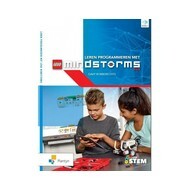 The LEGO Mindstorms Sets are suitable for children from 10 years. The LEGO Mindstorms basic set contains enough material to let the students brainstorm about what kind of robot they want to build. Once they have finalized the robot, they can control it through a computer. The Mindstorms EV3 contains technology that can display data and parameters after the experiments with the self-built robot. This set also provides improved mathematical insights. By playing with the programmable robot, students can learn to estimate distance, time and speed better. Furthermore, students learn to interpret 2D drawings as 3D figures. 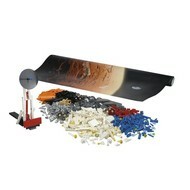 Space Challenge set: this set is based on space and, together with the Mindstorms EV3 basic set, guides students to work together and build space models. The Space Challenge set shows your students how they can learn how to program in theme and solve realistic problems through lifelike robot technology. Renewable Energy Add-On set: with this expansion set you learn everything about renewable energy sources. The set includes a LEGO solar panel, LEGO energy meter, turbine blades, an engine / generator, LED lights and an extension cord. 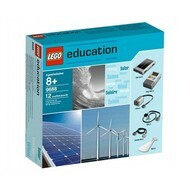 Includes 6 different construction manuals for use in the 9686 set and detailed lesson package. The 9688 set can also be used with Mindstorms EV3. For this you use the Science Activity pack as an extension to the EV3 software. Extra expansion package for the basic set: the extension set for the EV3 basic set contains many elements that can be used to personalize the building models. Unique structural elements, different types of auxiliary materials and new elements to make the basic set even more fun! 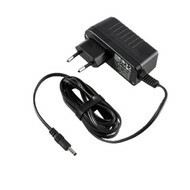 Attention: the battery charger is not included in the sets. 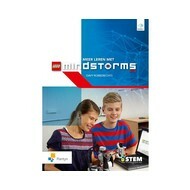 Order your LEGO Mindstorms Sets at RATO Education! The LEGO Mindstorms Sets are the perfect way to motivate students even more while learning with the help of Lego Education®. All this and much more can be ordered online at RATO Education, where schools can pay after delivery, which is also free from € 100!